This is what comes to mind when I think of my father's mother: playing in her beautiful garden. 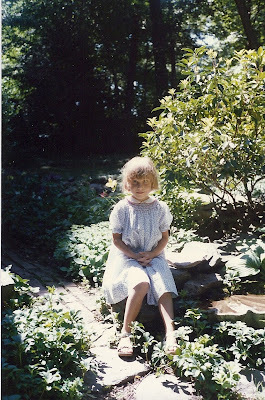 I had a statue of liberty hat/crown and I was queen of the garden. We're guessing that I'm around 4 years old. 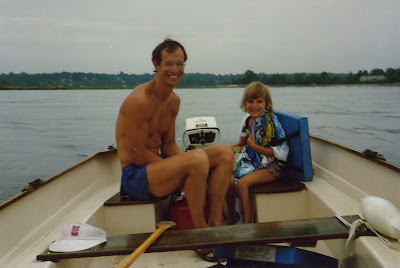 Darien, CT.
My comment on this photo: Dang dad, you were ripped! 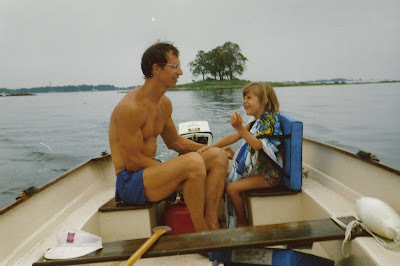 My dad's comment on this photo: Wow, look at my nice head of brown hair!